An open house was held on Nov. 8 to update the community on the project’s scope and schedule. This project will extend the Crystal City Potomac Yard Transitway north and west to the Pentagon City Metrorail Station. 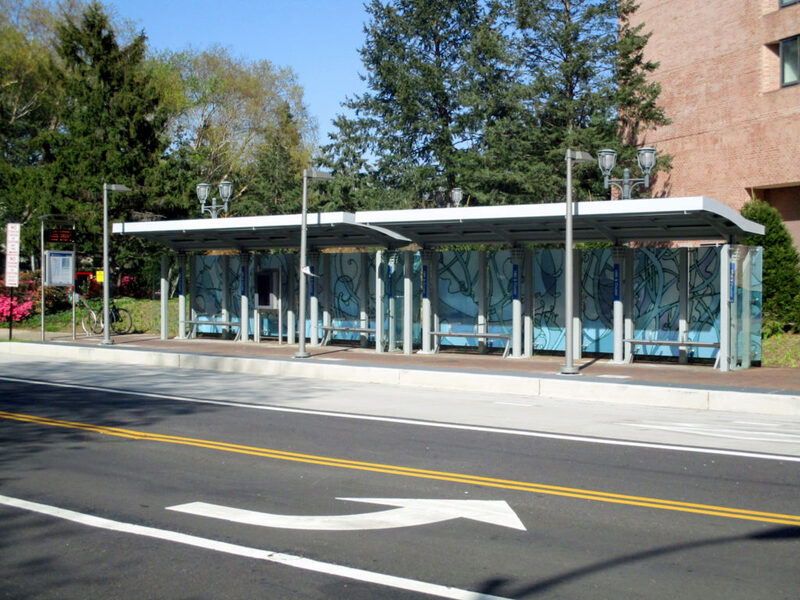 For the Transitway extension, northbound travel will follow Crystal Drive from 18th Street South to 12th Street South, continue west along 12th Street to South Hayes Street, and then north to Army Navy Drive at Joyce Street. 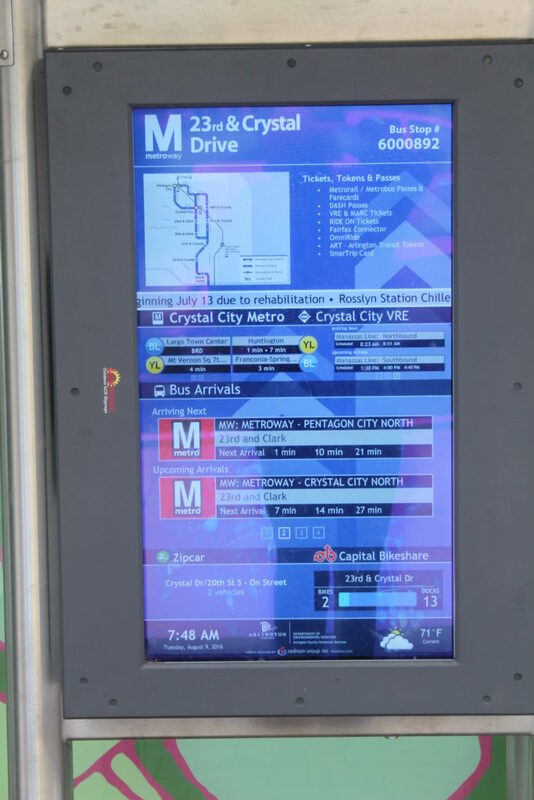 Southbound travel for the extension will follow Army Navy Drive east to South Hayes Street, continue east on 12th Street South, and then south on South Clark Street to the Crystal City Metrorail Station. The design for this project has been divided into three segments (described below under About the Project). The Crystal Drive segment is currently in the design phase. 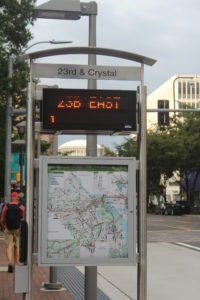 This extension to Pentagon City is the northern segment of the Crystal City Potomac Yard Transitway. It will add 1.1 miles to the 4.5-mile Transitway corridor, which is dedicated to high-frequency, premium transit service. 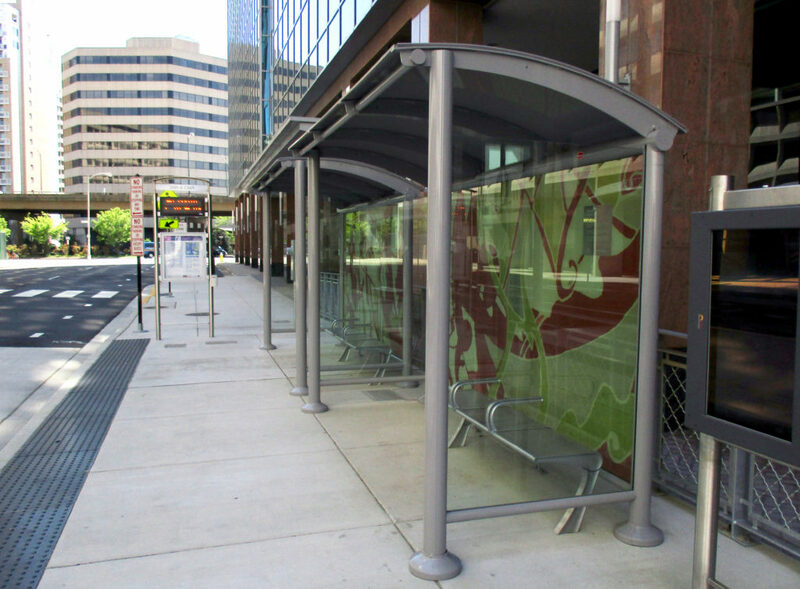 With the extension, the Transitway will run from the Braddock Road Metrorail station in the City of Alexandria to the Pentagon City Metrorail station in Arlington. Initially, this project will add additional dedicated bus lanes and five new transit stations and associated station amenities. The stations will be similar in style and appearance to the existing Transitway stations on Crystal Drive and Clark Street. Two additional Transitway stations will be built during later phases – the station at South Clark Street and 12th Street South will be part of the 15th Street South/South Clark-Bell Street Realignment project, and the station on northbound South Hayes Street at 12th Street South will be built once the Washington Metropolitan Area Transit Authority (WMATA) completes the Pentagon City Center bus bays project. 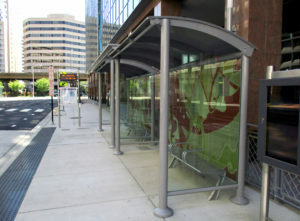 The Transitway provides needed transportation capacity to support anticipated residential and office redevelopment in Crystal City and Pentagon City. 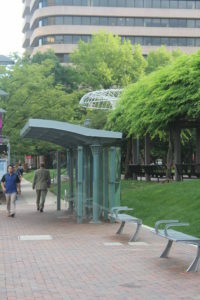 In 2016, the County completed an assessment of the preferred alignment for the Transitway extension from the Crystal City Metrorail station to the Pentagon City Metrorail station. The assessment compared routes along 12th Street South, 15th Street South, and 18th Street South. Crystal Drive from 15th Street South to 12th Street & Long Bridge Drive – Includes curbside rush hour bus lanes and two stations (on northbound Crystal Drive at 15th Street South, and on westbound 12th Street South at Long Bridge Drive). 12th Street South from Long Bridge Drive to South Hayes Street – Includes exclusive bus lanes in the median, mixed traffic lanes, traffic signal upgrades, signage and pavement markings, and three stations (east and westbound 12th Street South at Elm Street, and eastbound 12th Street South at South Hayes Street). South Hayes Street from 12th Street South to Army Navy Drive – This segment will connect to WMATA’s planned Pentagon City Center bus bays project on Army Navy Drive. Residents, business owners, building managers and bus riders were involved in the Transitway project’s environmental analysis and the design and locations of the Transitway stations. For more information about this public process, visit Crystal City Potomac Yard Transitway. 2005: Interim Transit Improvements Plan for Crystal City/Potomac Yard corridor recommends a Transitway, and Crystal City/Potomac Yard Corridor Transit Improvements Project identifies 12th Street South for the alignment of the northern extension of the Transitway from Crystal City to Pentagon City. 2009: Crystal City Multimodal Transportation Study, as part of the Crystal City Sector Plan process, studies transitway alignments and identifies 12th Street South as the corridor for future extension of the Transitway to Pentagon City. 2010: County Board adopts the Crystal City Sector Plan, which identifies the alignment of the Transitway. 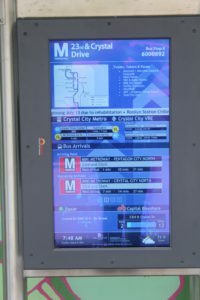 2012: Crystal City Potomac Yard Transitway Operations Plan completed. April 2016: Crystal City Potomac Yard Transitway opens. 2016: County Board adopts the FY 2017-2026 Transit Development Plan and Capital Improvement Plan, which include the Transitway extension project with its alignment via 12th Street South. 2018: County Board adopts FY 2019-2028 Capital Improvement Plan, which includes the Transitway extension project with its alignment via 12th Street South. Arlington County’s FY 2019-2028 Capital Improvement Plan approved a budget of $27.7 million for this project. 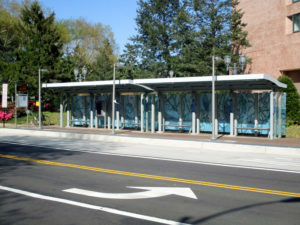 The Transitway extension is funded primarily by regional funds from the Northern Virginia Transportation Authority and state funds.